If you wish to have us SHIP PRODUCTS to you, please fill out the form and we will email you with the shipping costs as they vary depending on where you live. How did you hear about edible gardens? I neeeeeed to get some more of your delicious fig and fire reduction!! My entire family is addicted to it! We live in Victoria BC. Is there a local shop that carries your line of products where I may be able to buy some? Hi Carrie, Im so thrilled you and your family are LOVIN’ our fabulous Fig & Fire Reduction. I just phoned Peppers Store 3829 Cadboro Bay Rd. 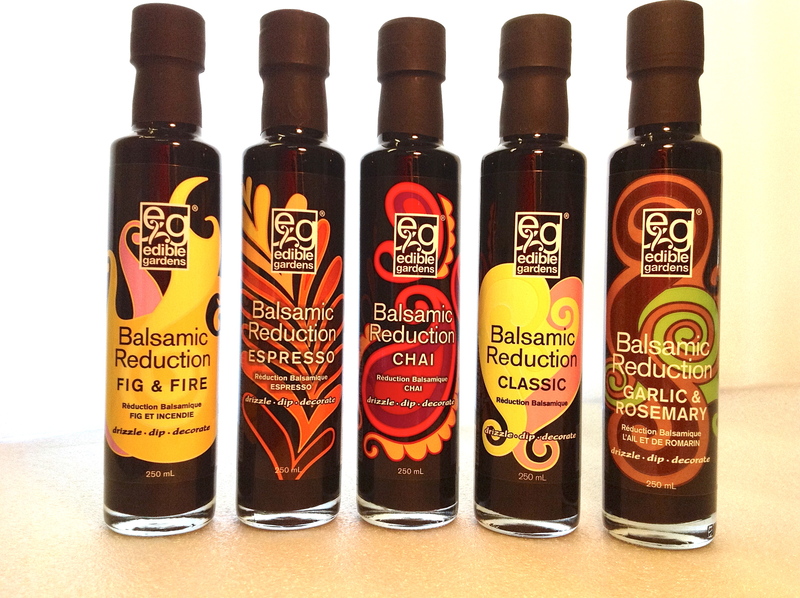 Victoria and they have Fig & Fire Balsamic Reduction in stock and would be happy to help you fix that craving! Cheers and thanks for the loyal support. Just wondering about the cost of your products. I live in Vernon, purchased the Fig and Fire from the Osoyoos Band gift shop and would to buy another one. Are there plans to sell your product in Vernon ? 3209 30TH AVE VERNON BC as one of our Vernon store partners. 250-545-2952. Hope that helps and Ive added them to the “Where to Buy” section on the website. Thanks again Teresa! We lived in Vancouver for many years and enjoyed all of your products. We are now located in Atlanta, GA and wondering is there a way to order this on-line and have shipped to Atlanta?? I love your Fire & Fig Reduction and the rest of the collection. Is there a store in Calgary that carries your collections as I now only have a 1/4 bottle left. My family and friends would love to purchase some. Thanks for loving our products! Right now we are working to get our products into more stores in Alberta, but you can find a select line at some Sunterra stores. We tend to sell out quickly so I suggest you phone the store ahead of time to make sure your favourite flavour is in stock. where in north or west van do you sell the fig and fire? Hi Susan, Thank you for your email and Im so thrilled you are loving the Fig & Fire Balsamic Reduction and needing more! Visit our WHERE TO BUY page and and see our North Vancouver partners for more locations that may be convenient for your shopping needs. I live in Omaha, NE and enjoyed your Date & Cherry Balsamic Spread when I visited my grandchildren in Seattle. I noticed that you have a gift set of three spreads and I would like to order it. Please let me know the details, and if there is any place local where I can purchase this item. Hello, I live in Winnipeg, MB. I really love your balsamic reduction Fig & Fire. Is there any way that you can send me 2 bottles of that? If you are able to do so, let me know all the conditions. Thank you. how can I buy this product on line? Hi Guy, Thanks for the order! It will be shipped tomorrow and make it in time for Christmas Im told! I am about to have a mini breakdown😝. I am all out of Rosemary and Garlic and Fig and Fire. Is there somewhere in Kelowna I can get these. Hi Patsy! Thanks for the email. Glad you are loving our products! You can find everything at Choices(on sale now 😉 for December- Urban Fare and Mission Hill Winery.